International aid groups in Myanmar have urged the government to allow free access to Rakhine State, where an army offensive has sent more than 500,000 people fleeing to Bangladesh but hundreds of thousands remain cut off from food, shelter and medical care. Refugees are still fleeing from Myanmar, more than a month after Rohingya Muslim insurgents attacked security posts near the border, triggering fierce Myanmar military retaliation that the United Nations has branded ethnic cleansing. Aid groups said on Thursday the total number of refugees in Bangladesh was now 502,000. 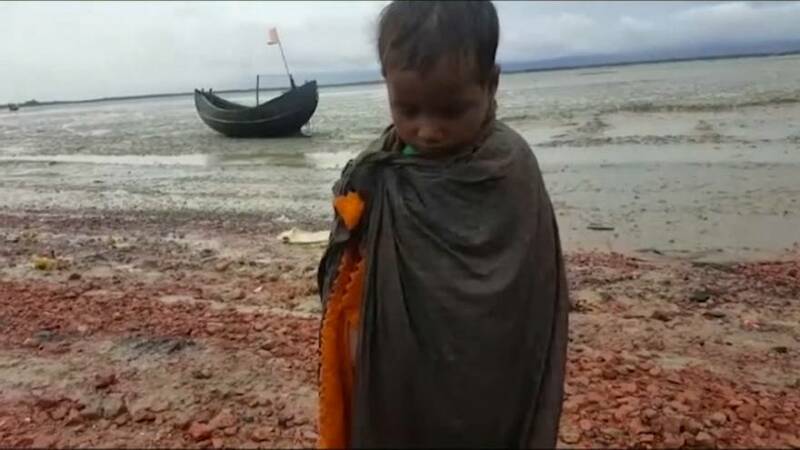 Bangladesh police also said 14 refugees, including nine children, drowned when their boat capsized off the coast in bad weather. The refugees say Buddhist mobs and Myanmar soldiers set entire villages on fire, shot at them indiscriminately and raped women. Myanmar rejects accusations of ethnic cleansing and crimes against humanity but its leader Aung San Suu Kyi has faced scathing criticism and calls for her Nobel peace prize to be withdrawn. The Myanmar government has stopped international non-government groups (INGOs), as well as U.N. agencies, from carrying out most of their work in the north of Rakhine state, citing insecurity since the insurgent attacks that sparked an army offensive there last month. “INGOs in Myanmar are increasingly concerned about severe restrictions on humanitarian access and impediments to the delivery of critically needed humanitarian assistance throughout Rakhine State,” aid groups said in a statement. Inside the Rohingya refugee camps in Bangladesh, doctors are swamped with patients. Charity groups say clean water and shelter are their top concern, as the weather is stormy and stagnant water could spread diseases like cholera. Half of the refugees fleeing the country are children, according to UNICEF. Suu Kyi denounced rights abuses in an address last week, and said any refugees verified as coming from Myanmar would be allowed to return. Myanmar is getting ready to “verify” refugees who want to return, the government minister charged with putting into effect recommendations to solve problems in Rakhine said. The country will conduct a “national verification process” at two points on its border with Bangladesh under terms agreed during a repatriation effort in 1993, state media reported. It’s unclear how many refugees would be willing to return, or have the documents they will likely need to qualify. Rights groups say about half of more than 400 Rohingya villages have been torched in the violence. The bad weather has led to the postponement of a trip the Myanmar government was organising for UN diplomats to see the situation in Rakhine State for themselves. They will go on Monday, an official said.